Consider the following quotes by pro-choice advocate Ms. Mary Elizabeth Williams. Her article is titled ‘So what if abortion ends a life?’. So…yeah, Ms. Williams and her like-minded followers are gripping harder to their position for pro-choice. They are also acknowledging the fact that life does indeed begin at conception. If she and others like her affirm this, then they knowingly and willingly kill human life. In fact they defend it and promote it. This is how hardened our hearts can be, and if it were not for the grace of God who is to say that you or I would think the same way in our unbelieving, unregenerate, depraved state? We are not any better except God’s mercy has been bestowed upon us. Pro-choice advocates are no longer dancing around the terms cloaked in vagueness about abortion. 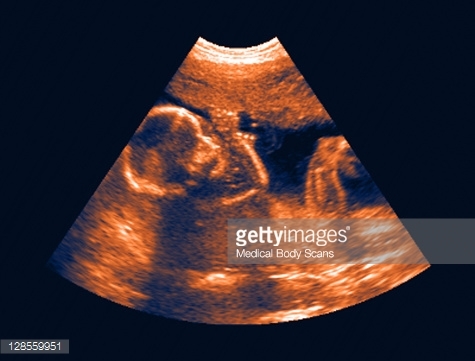 It is very matter-of-fact, unapologetically saying, ‘yes, I see that this is a baby, so what?’ These people love to play God and are under the illusion that they are in “control” of the womb. How sadly mistaken they are! If a pro-choice supporter agrees that creation made in the secret place of a womb is life, a human, a future man or woman, then it seems to me that there are a lot of holes left in their position. Now I am not a rocket scientist, brain surgeon, or frankly the brightest light bulb, but if an abortion fan supports murdering life in the womb, why stop there? Why not extend it to two year olds, five year olds, and 85 year olds? All in the name of “research” of course. You get to choose who is expendable. Ever read Jonathan Swift’s A Modest Proposal? It is satire in which the speaker comes up with a “solution” to help the over populated lower class. He suggests that they have those children, plumping them up to be nice and tender, ready for sale by one year of age to be sold to the rich…to be eaten. The subtitle reads: for Preventing the Children of poor People in Ireland from being a Burden to their Parents or Country; and for making them beneficial to the Publick. Overpopulation problem solved. Now readers definitely see the absurdity in this, but are we not too far off from it? We certainly do not eat children we just maim, dismember, and sell off their body parts. That is, if we decide not to crush them and rather succeed at keeping a child “intact”. Genetic research problem solved. Who gives us that right to see to it that some babies are treated like lab rats while others are given the privilege to live? Answer: We don’t have that right to say who lives and who dies. It is the height of hubris and wickedness of man. And yet just as the nameless speaker in A Modest Proposal calmly advocates cannibalism for the sake of the economy, abortionists rationalize murder for the sake of scientific research. Swift “indicts the English for inhumanity, the Irish for passivity, and the economically oriented proposer of remedies for moral blindness” (1). I would boldly say that the abortionists are inhumane, the Christians passive and the pro-choice supporters morally blind. Christians are not living out their call to love well if we look the other way on this issue. “Love does not delight in evil but rejoices with the truth. It always protects, always trusts, always hopes, always perseveres” (1 Corinthians 13:6-7 NIV). What are we to protect, trust in, hope in, and persevere in? Love. Followers of Jesus love well when we are protectors of truth. Part of that truth means believing in the value and sanctity of each life. This is what the psalmist says about the Creator of Life when He made each of us: “My frame was not hidden from You when I was made in the secret place. When I was woven together in the depths of the earth, Your eyes saw my unformed body” (Psalm 139:15-16). So what are we do to? What is required of us? That is also found in Scripture. Micah 6:8 says, “He has showed you, O man, what is good. And what does the Lord require of you? To act justly and to love mercy and to walk humbly with your God” (NIV). This is the calling on our lives for those who passionately love, serve, and belong to Christ. Seek justice for those who cannot do it themselves, and to live in a way that represents mercy on our fellow man, all created in the image of God. And best of all, we walk in fellowship with the Lord, humbly serving Him, acknowledging that He is Sovereign over all. Live it out brothers and sisters, in grace, in love, in truth. The Norton Anthology: Western Literature, 8th ed., vol. 2, 291; 341-47. Thank you Amy! I remembered the satirical essay from reading it years before and was horrified at how close we are to this becoming a reality. It sounds ridiculous but depraved thinking can rationalize just about any evil as we are witnessing with abortion.